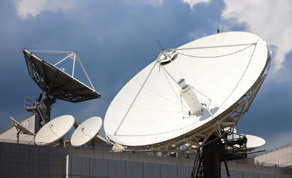 In June 2008, the Broadcasting Commission of Ireland (BCI) awarded Boxer DTT Limited the three national Digital Terrestrial Television (DTT) multiplex contracts. In April 2009, Boxer DTT withdrew from the process and the new contract was awarded to the second placed applicant - One Vision. Under the Broadcasting Act, 2007, ireland's national broadcaster, RTÉ, is required to provide a digital television service offering access to the Irish national channels - RTÉ, TG4 and TV3 - on a free to air basis. In addition, the Broadcasting Authority of Ireland (BAI), an independent regulatory body, is required to identify commercial DTT service providers. Following initial talks with Boxer the BAI entered into contract negotiations with the second placed applicant, OneVision in May 2009. That consortium was unable to conclude a contract with RTÉ NL, to the satisfaction of both parties, for the provision of transmission services. The BAI withdrew from contract negotiations with the consortium in April 2010. The contracts were then offered to the third placed applicant, Easy TV, in May 2010. In July 2009, RTÉ chief Cathal Goan admitted the DTT rollout expected for Autumn 2009 was no longer feasible. Due to the Boxer / One Vision delays. On Tuesday, May 18th the BAI was advised by the Easy TV consortium that it had decided to decline the BAI’s offer to pursue negotiations for the provision of three Commercial DTT Multiplex Contracts. The withdrawal of the Easy TV consortium brought the former DTT licensing process to a conclusion. On August 11th 2010 the BAI reiterates its displeasure that its chosen groups have failed to work together in the orchestration of bringing commercial Digital Terrestrial Television (DTT) to Ireland. The group thus decides not to reactivate a commercial DTT multiplex licensing process until after the Analogue Switch Off (ASO). It was furthermore decided that it will not be practicable to re-activate a commercial DTT multiplex licensing process in the immediate future. The outcome of a review and de-briefing exercise which it had undertaken with the consortia who took part in the first process. All three highlighted the economic circumstances and two made particular reference to the role of RTÉNL as the main contributing factors to the failure to achieve a successful outcome. The BAI further stated that, as part of the preparation for the successful launch of commercial DTT in the future, legislative change will be necessary to enable the Authority to have formal relationships with the applicants, as obtains at present, and with RTÉNL. The group explained that this will enable it to engage formally with the provider of transmission services and to exercise or to invoke a statutory mediation process in the event of disagreement on the terms of the transmission arrangements between RTÉNL and any future successful applicant. The Authority is to discuss this matter further with the Department. The BAI now concluded that it wouldl not be feasible to introduce commercial DTT as originally intended until after Analogue Switch Off (ASO) at the earliest. The position will be reviewed towards the end of 2011 whereby the Authority has said it may seek expressions of interest in the provision of commercial DTT at that point. A competition could potentially be held during 2012 with a view to commercial DTT being operational in 2013. A year after the ASO deadline. Finally, a statement from the group has stated that “The broadening of choice for viewers and the development of new sources of Irish originated content continue to be important priorities in the development of DTT in Ireland. The Authority will discuss with the Minister ways in which those objectives can most effectively be met within the context of the proposed PSB multiplex, pending the development of further commercial DTT possibilities. Where the national DTT service is concerned the 2009 Broadcasting Act means that RTÉ must establish and launch the national DTT multiplex (a section of spectrum) to provide its own and other broadcasters’ services to the public at a level of distribution aimed at replicating the level now in place for Irish licensed free-to-air channels. On July 5th 2010 the broadcaster has appointed Mary Curtis to the new senior executive position of Director of Digital Switchover, with responsibility for an effective transition by audiences in the coming two years to digital television using the DTT system. RTÉ selected MHEG as the interactive middleware for the rollout the system. RTÉ has initially specified the MHEG 1.06 profile with the addition of HD capabilities with the broadcaster looking at further options as the DTT project develops. The broadcaster will be providing a free-to-air service to the Republic of Ireland’s approximately 1.6 million TV homes and it will launch with the digital teletext service RTÉ Aertel. There will be two DTT multiplexes with HD content forming part of the offering soon after launch. A satellite service – similar to Freesat in the UK – will provide access to the small number of households who can’t receive the DTT signals. Towards the end of July 2010 Communications Minister Eamon Ryan supported RTÉ’s digital network upgrade with €70 million of funding which incorporates the move from analogue teretial television to DTT. ITU’s Regional Radiocommunication Conference (RRC-06) in Geneva, heralding the development of ‘all-digital’ terrestrial broadcast services for sound and television. The Department of Communications, Marine and Natural Resources commenced a trial of DTT in Louth and Dublin. The Broadcasting Amendment Act is published legalized the development of public DTT services in Ireland. Boxer DTT is awarded the three DTT multiplex contracts. One Vision withdraws from DTT Multiplex Talks and Easy TV Consortium is offered contract instead. Easy TV Consortium declines BAI offer to pursue negotiations for the provision of three Commercial DTT Multiplex Contracts. Communications Minister Eamon Ryan gives €70 million towards RTÉ’s digital network upgrade. Deadline for switch off analogue television in Europe.